This recipe will demand some time to make but none of the step are complicated. You can prepare everything in advance and put everything together at the last minutes. If you do so, the avocado cream has to be covered with film and you shoulf put the avocado stone in the cream until it’s time to serve. The stone is helping to keep the green colour. 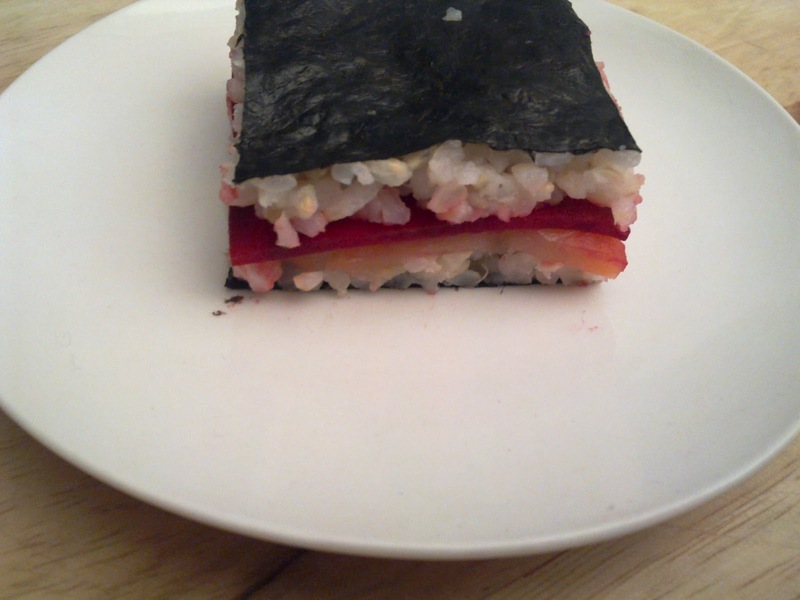 If you like fishy flavor, you can add a few salmon eggs on top. The base will inflate while cooking but, like a soufflé, it will come down while it cools. Which is good as it leaves a little place to put the filling! Don’t over cook the base as it will be too dry and not as good wether for the texture or the taste. To make the base: Beat the eggs and the yolks, salt and pepper. Add the cumin, the sour cream, the grated parmesan, and the dill. Mix until it’s smooth. Cook a little tsp of the mix on a pan so you can taste and rectify the seasoning if necessary. 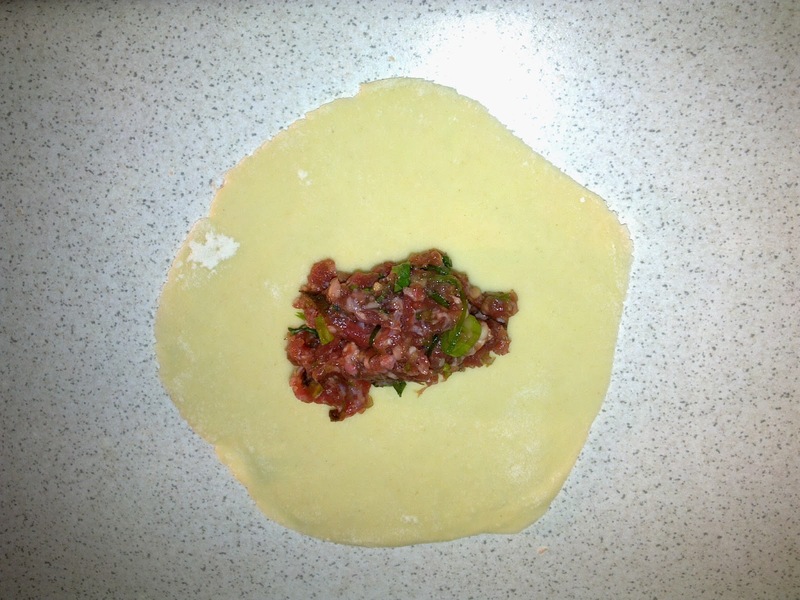 Pour the mix onto silicone mould (diameter of about 4 cm) and cook in the oven for 10 minutes without over cooking. Leave the base to cool on a rack. Press one of the pink grapefruit and mix part of this juice with the avocado. You should get a soft cream that holds. It shouldn’t “melt”. It’s better to have a too thick cream in which you can add more juice than the opposite (unless you have more avocado to rectify!). Add salt and the Espelette pepper to taste. Peel the other grapefruit to get into the meat. Separate the segments and cut them in triangles. On each base, place a small spoon of the avocado cream, a grapefruit triangle, a bit of Espelette pepper, a small mint leave and one of dill. This fresh recipe is also crunchy and full of layers of flavors that awakens the taste buds. You can change it to make it a salad. The sauce works on steamed vegetables, slow cooked poultry, white fish or silken tofu… You can prepare a lot of the sauce and keep it in the fridge for a few days. Take those rolls for a pic-nic or lunch but wrap them separately so they don’t stick together and stay humid. Put everything in a bowl, mix well and put aside. First marinate the cucumber. Prepare all the other ingredients then sieve the cucumber but keep the sauce for service. Put the rice sheets, one by one, in warm (but not hot) water so it softens. 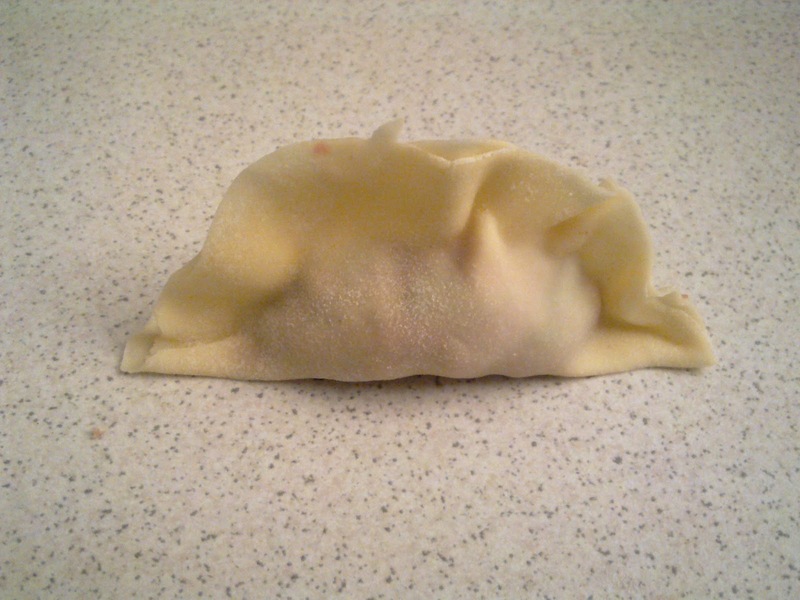 Garnish the soften sheets with the noodles, then with a little of each ingredients. Roll, folowing the instructions on the rice paper package. Cut each roll in two, put on a plate, pour some sauce and sprinkle with the peanuts. This is a recipe that makes me travel. I also forget the weather, if it’s a bit too warm to be comfortable or a bit cold for the season. There is some sweetness, some acidity, some salt, a bit of umami. 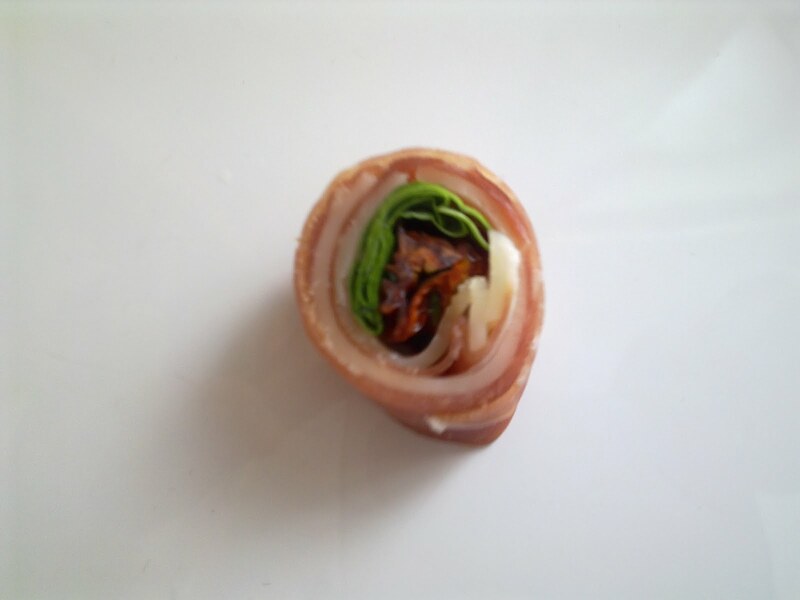 It’s quite balanced and the meat eater won’t miss the meat here although you can add some chicken or shrimp in each roll. Actually, I find it more whole when prepared this way. I guess I could add some crunchy onions but I don’t really miss it here. I think spring rolls are a great way to eat lots of veggie and to adapt to each season although you might want to change the name then! 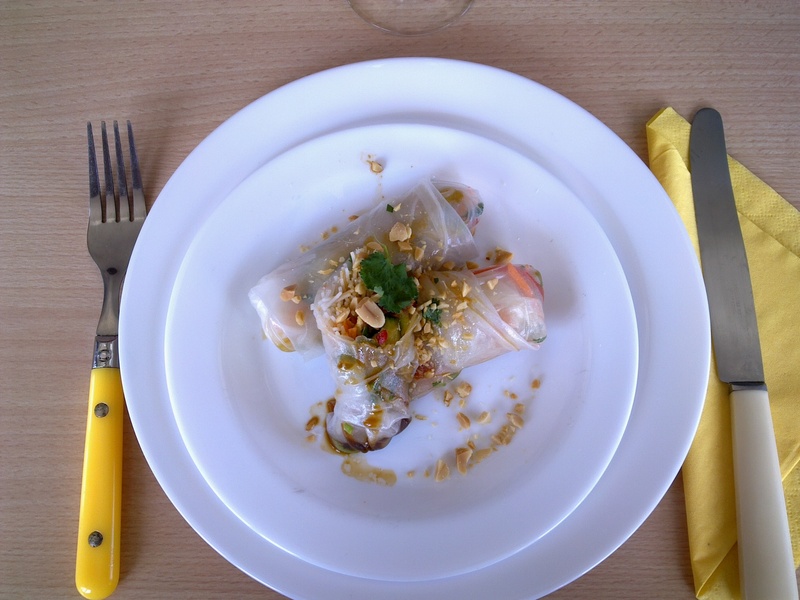 What is your favorite spring roll recipe? It has been a while that I didn’t share my cooking trials. Don’t worry, I haven’t stop cooking! But time flew by without me noticing! So to get your taste buds excited again, here is a seasonal menu (here, we’ve welcomed summer with open arms; too much rain gets on everyone’s temper!). For the amuse-bouche, I made maki sushi with mango and cod liver, served with wasabi and tamari. I don’t say that the sushi contain cod liver as some had the terrible experience to have to drink cod liver oil to prevent any winter diseases (I was one of them!). But even those with this memory love these sushi! Then I served tomato and espelette hot pepper custard. For me, the tomato lover, this custard is perfect! Mix 100g of tomato purée with 40 to 50g of tomato paste. Add 1/4 tsp of baking soda if some are sensitive to tomato’s acidity. Add 2 eggs, 5 tbsp of milk (I chose rice milk but do as you like), a good 1 tbsp of espelette hot pepper, salt and minced fresh basil. Pour into container and cook at 200°C for 10 minutes. Well if you make bigger portion then me, adjust the time! Leave to cool then place in the fridge for at least 3 hours. To accompany the rest of the meal, I made my classic bread cooked in a cast iron pot but I added a goof quantity of butter (coconut will work greatly). As the pot was a bit too big, the bread spread and we had a great golden crust. It reminded me of the ciabatta we used to buy by my grand-father’s place but I’m sure they used olive oil instead of butter! The first course was a tatin pie with caramelized tomatoes and eggplants, served with fresh cheese mixed with honey and thyme. The crust contained parmesan. The eggplants are ready to be caramelized! The second course was a mix of France and Japan. I make it often with salmon but this time I used colley. Cooked at low temperature, covered with white miso and sake, I served the fish on top of rice paper rolls, minced snow peas and I poured some homemade dashi kombu broth on top then sprinkle the plate with basil, fresh chives onions, and some espelette hot pepper. Eat it with a fork, grabing the fish with the dashi broth. The white miso will mix with the dashi and the combination will be delicious. … the crustiness of coconut sablés! Serve bubbles for the starters, some fresh white French wine (Loire or Languedoc) for the courses and coffe, tea or infusion with the dessert. It had been a while sinds I last made such a meal but I had great fun! I hope you have a delicious and fragrant summer! Quick! some raw sauce to enjoy before the sun’s gone again! Quick, quick, before the sun disapears again… a sudden need for raw food! If you have great quality and in season ingredients, it’s almost enough by itself! Like my own best of (although I should be patient and wait for a while, though knowing August will be the best time): tomatoes with just a few drops of great olive oil, a bit of sea salt flakes and freshly ground pepper. I try all the tomatoes I can get my hands on: ancient varieties, green, yellow, Italian, heart shaped, big, small, cherry… I can’t get enough! It would be wonderfull with cabbage rolls or California style rolls (I just roll a nori sheet around some julienned vegetables and spread this sauce before I wrap the sheet and can’t wait to taste!). For the meat and fish eaters, it would be very good with chicken, turkey or any fish, either raw (for the fish) or steamed (for meat and fish). It’s great with tahini instead of almond. I would suggest you make more of the sauce, respecting the ratios. It keeps for a few days in the fridge (I can’t help spooning in the bowl every time I pass by the fridge…). I add the water carefully to get the right texture. You don’t want it to be too liquid. So, if in your part of the world, spring has a hard time showing up, give it a hint with this recipe! There are flavored custard, easy to make, that’ll make everyone eat carrots! I prepare them in mini cocottes, it’s so cute and so much fun comparing to classic white ramekin. You won’t need a lot of ingredients and is super versatile. 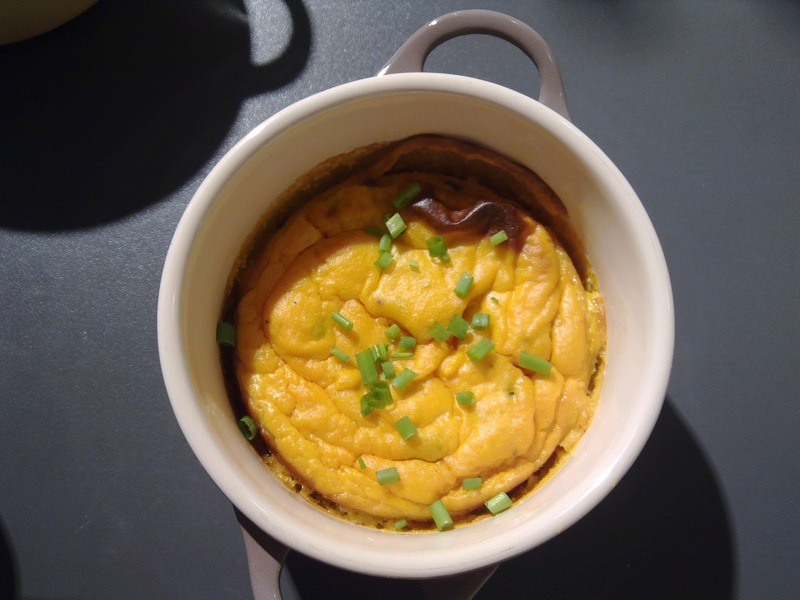 I’ll give you the basic recipe that I got from a French book “mes MINI avec Le Creuset” from Julie Andrieu but I couldn’t resist twisting it in many ways! Melt the shallots in a frying pan until lightly golden. Cut the carrots in thin slices and steam them for about 15 minutes until tender. Mix the carrots with 4 tbsp of the cooking water and season with salt and pepper. Beat the eggs with olive oil, sour cream, half the chives. Add the carrot mix, half the shallots and rectify the seasonning (if you don’t want to taste it raw, cook a spoonful in a pan). Divide the mix in the mini cocottes. Put in the oven and cook 15 minutes. Down the temperature to 180°C and cook 15 more minutes. Heat the tomato coulis with a bit of olive oil, the remaining shallots, salt and pepper. Serve the custard, sprinkle with ciseled chices and a bit of the tomato coulis. And for the carnivorous, a thin slice of smoked bacon, grilled to be crunchy to set upon the mini cocotte. It’s easy but it takes a little while to make so invite your guests in the kitchen to prepare them with you! Don’t hesitate to replace the spices and herbs to make different kinds. Here is the recipe of the day! Put the saffron threads in a teaspoon of water. Use a zester to remove the zest of the lemon then cut it thinly with a sharp knife. With a fork, mash the goat cheese and mix with the saffron, the zest, the pistachios and the mint. Put one small spoonful of this mix on a brick sheet and roll to form triangles. Oil a frying pan and cook the briouates until golden (about 3 minutes on each side). Serve hot, at room temperature or even cold. Don’t forget the napkins: it’s crunchy! Here is an easy way to please guest without too much fuss in the kitchen. It’s cute and delicious. It can be made in minutes if you have the ingredients at hand. Mix all the ingredients well and cook small quantities (blini should be about 4cm diameter) in a little bit of butter. Cut the salmon into small cubes to get a tartare. Mince the lemongrass, chive and mint. Toss everything together with the rice vinegar. 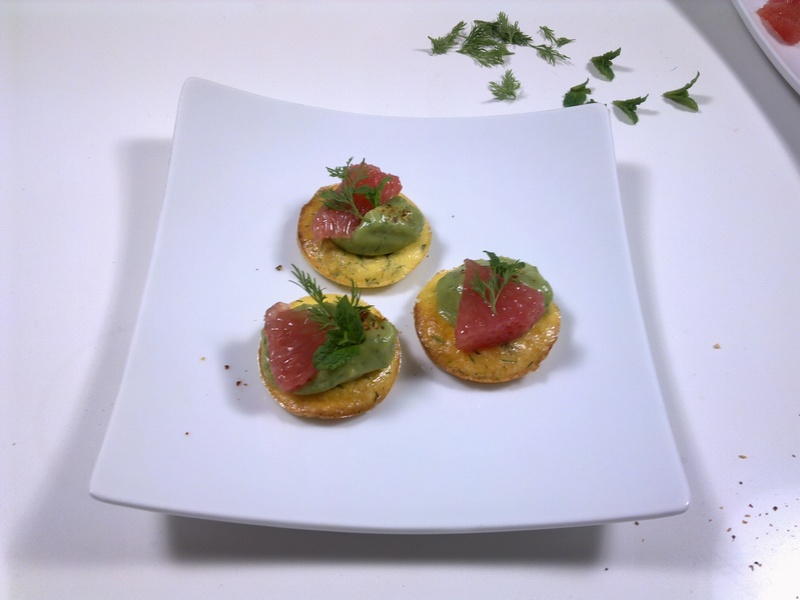 Place a small spoonful of tartare on a blini and decorate with a small mint leaf. Well and quickly done for a chic appetizer! The mint and the lemongrass give freshness to the salmon while the “earthiness” of the blini take the soft texture of the fish to another level. It’s fresh and nourishing, light and rich in flavors. I love dim sum. I think it’s fun to make, delicious to eat and versatile. 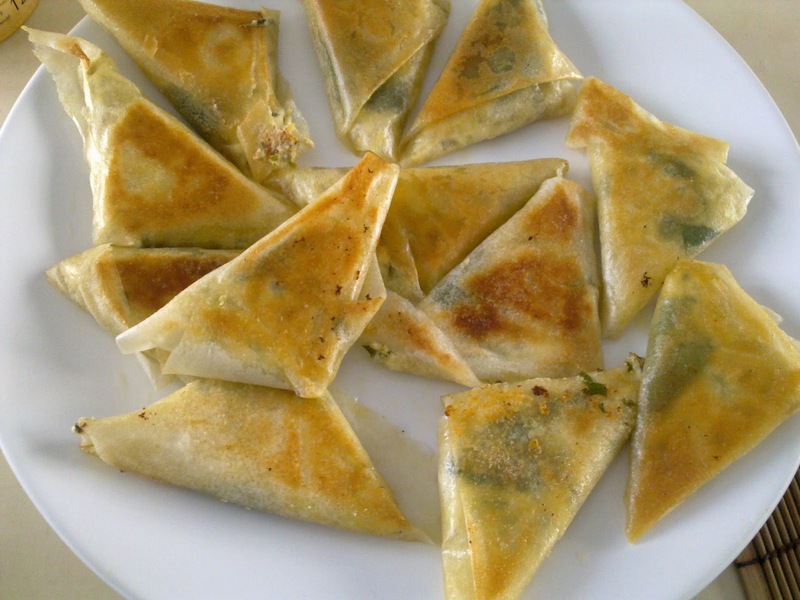 Here is my mix (actually I was inspired by a French book about dim sum and I mixed different recipes to make my own). Mix the boiling water with the flour using a wooden spoon or spatula. When the mix start to smooth, add the cold water and the salt. Add the cold water 1 spoon at a time so you can check the texture (if it’s too dry add more if not, don’t). Knead the dough until smooth and souple. As the book said, it should be the texture of the ear lobe. Add the oil and knead to incorporate. Form a ball then divide into small balls that you’ll spread onto circles as thin as you can. I used a pastry roll but I should have used a pasta machine as I got tired in the end and couldn’t get my dough thin enough! Mix all the ingredients and leave in the fridge if you don’t use it directly. 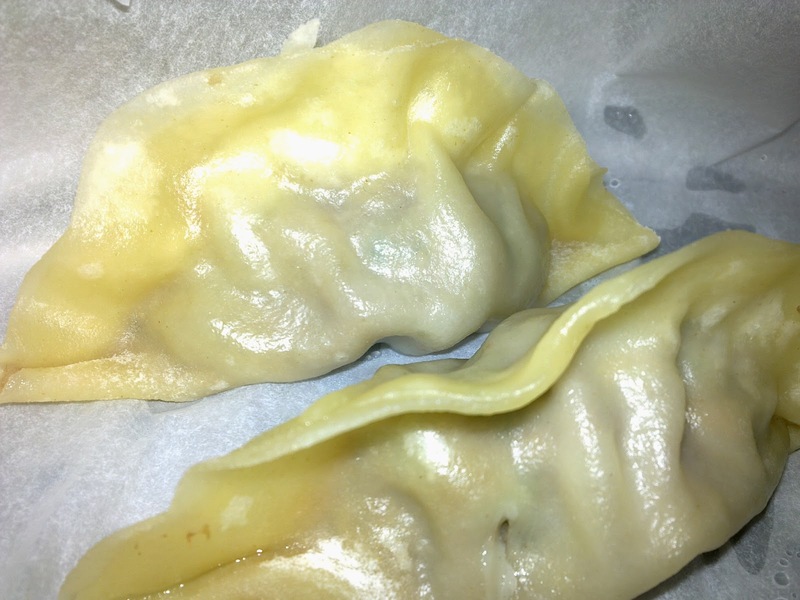 To make the dim sum, put a little of the filling on the dough and fold. 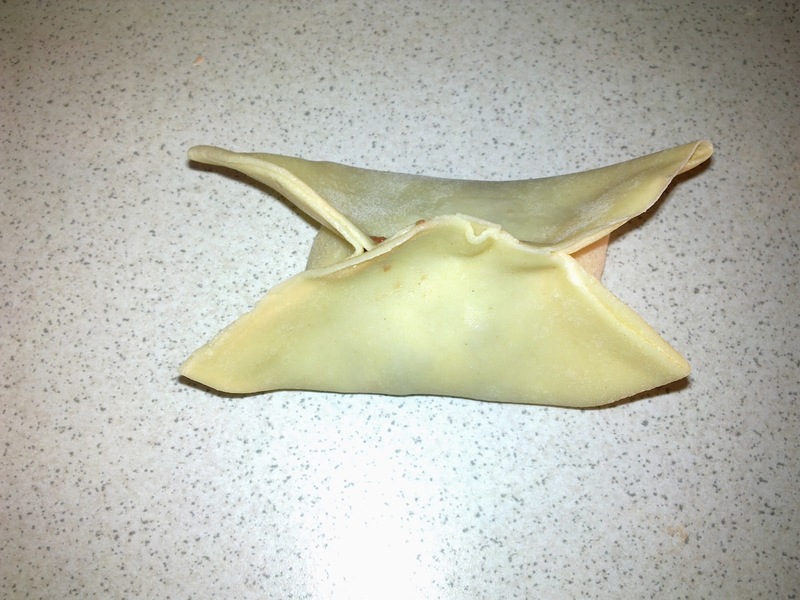 There are different folding possible but in any case, for the side to stick, you should water it lightly and press. To cook: cover the bottom of a steam basket with cooking paper (parchment) in which you previously made holes. Steam for 10 to 15 minutes. There was a little left over dough so I made noodles that I steamed as well and served with the same sauce. This is a recipe from a little French cookbook called “the gluten-free recipe bible”. 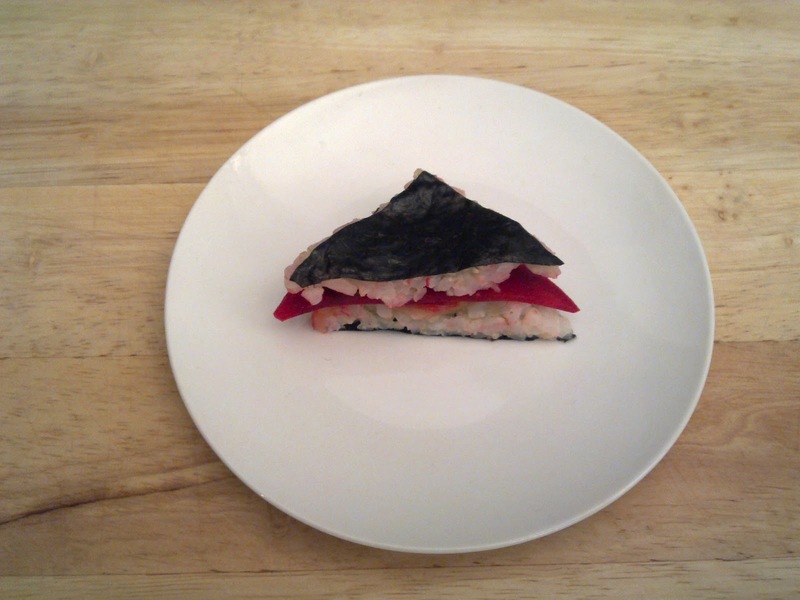 I was attracted by the picture and I thought it would be interesting to eat sushi another way. Cover with 2 slices of salmon (or not) then with the sliced beetroot. You get a very good looking square that you could frame! 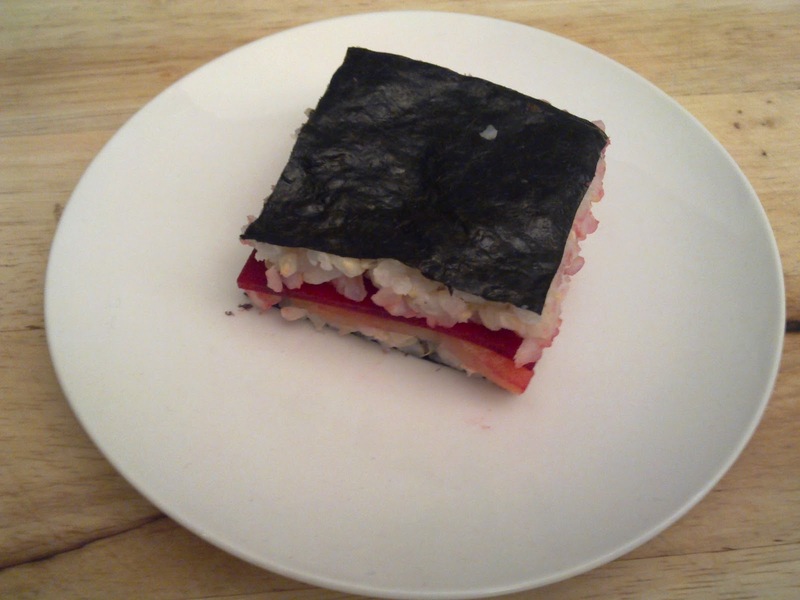 Cover another nori sheet with rice, and put it on the beetroot (rice side down) and press. Do it once more with the remaining ingredients. The beetroot looks great in the composition! Serve with tamari and wasabi. If you have preserved ginger, don’t hesitate to use some! So, how was it ? 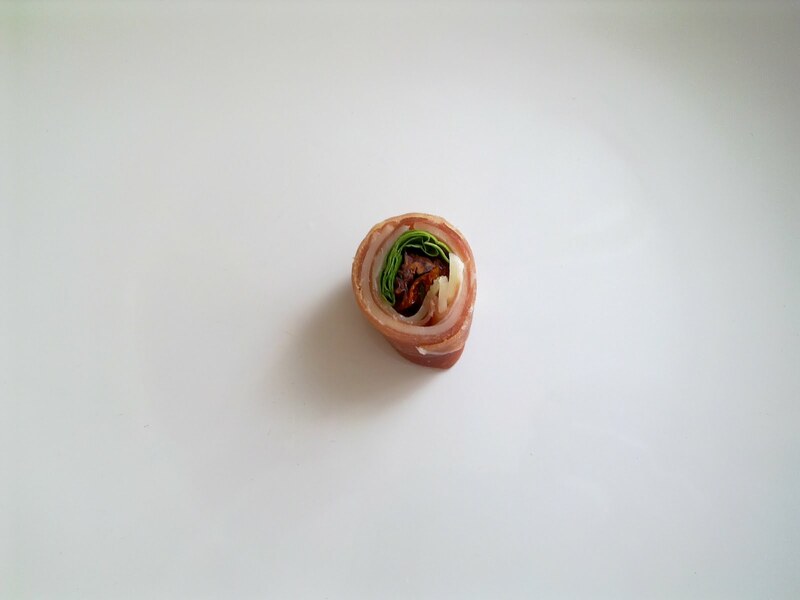 It’s hard to cut and it is hard to eat… I’d rather stick with rolled sushi! 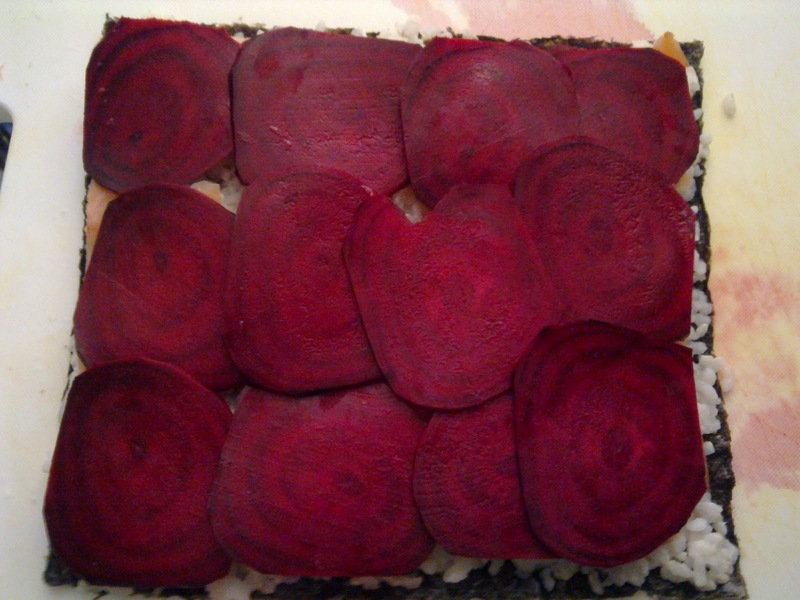 In that case, cut the beetroot in thin stripes. In the next picture, in case you haven’t seen, it’s not salmon. I used cured cod in vodka and beetroot juice and that recipe should follow! 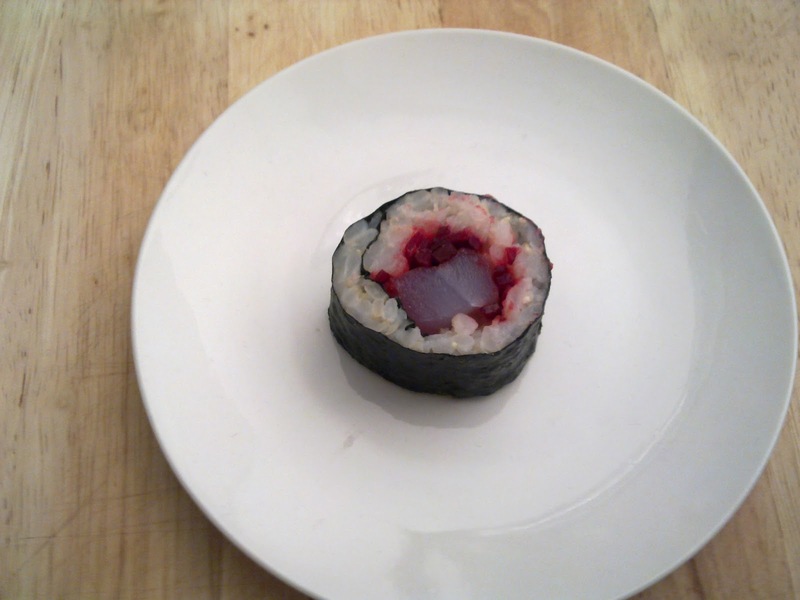 The taste of the beetroot is great in the sushi and it does look good too! On the slice of ham, place a slice of cheese. At one end, put 1 dried tomato and a few leaves of basil. Roll tight. Do it again with the last five slices. Cut the roll small slices and serve. How easy can it be…?